Military - LamaLo Technology Inc. 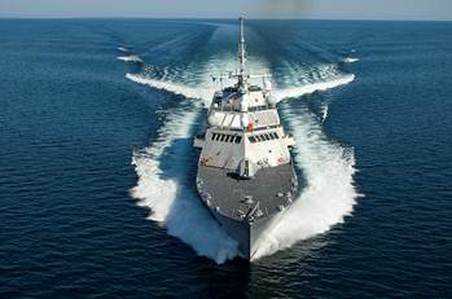 The USS Freedom is the lead ship of Littoral Combat Ships (LCS) built at Marinette Marine Corporation (MMC). It is a small specialized variant of the DD(X) family of future surface combat ships. The USS Freedom is 378 feet long with a displacement of about 3000 tons. It is driven by a quartet of waterjets linked to a Combined Diesel & Gas Turbine (CODAG) power plant with a pair of MT30 gas turbines, providing sufficient propulsive power for the vessel to reach over 40 knots. LamaLo Technology Inc. has been contracted by MMC to provide Specialized Engineering Analysis and Measurement services with respect to the propulsion shaft alignment and vibration. Alignment procedures were developed and executed by LLT for this complex shafting system. During sea trials LLT conducts extensive shafting vibration measurements (Whirling, Torsional & Longitudinal). This system includes 6 shaft torque meters, 3 longitudinal shaft displacement transducers, and 4 shaft whirling measurements. Near real-time display and assessment of the shafting vibration characteristics are provided. The USS Freedom (LCS-1) was commissioned in 2008, the USS Fort Worth (LCS-3) in 2012. LCS-5, 7, 9, 11 and 13 have been delivered as of November 2018. LLT continues to support the construction and maintenance of this Class of vessel. 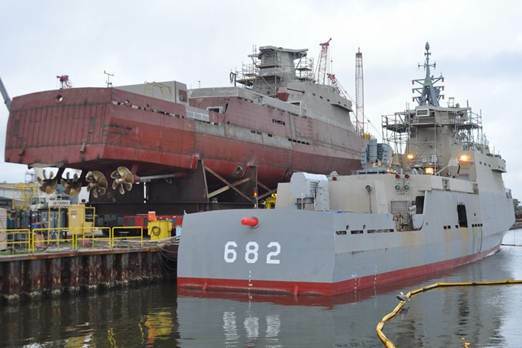 General Dynamics NASSCO is constructing six John Lewis (T-AO-205) Class Oilers. The vessels will be a double hulled replacement for the Henry Kaiser (T-AO 187) Class, have capacity to carry 156,000 barrels of oil, dry cargo and aviation capabilities while reaching a speed of 20 knots. LamaLo Technology Inc. has been contracted to provide expertise on the propulsion shafting system design review and analysis, shaft alignment and shafting vibration analysis (axial and lateral). Construction of the first vessel started in September 2018. Four (4) Ambassador IV-class Fast Missile Craft (FMC) are under construction by VT Halter Marine. The vessels are 61 m long and incorporate ship signature control technology. High speed and manoeuvrability are two of their primary assets, and the vessels also incorporate numerous combat system assets and electronic sensors that give them capabilities in anti-aircraft, anti-surface, and electronic warfare. The propulsion is provided by four MTU 16V 595 TE90 diesel engines (each rated at 4.32 MW) driving and four shafts for a design maximum speed of over 30 knots. LamaLo Technology Inc. was contracted to provide expertise on the shafting system design, installation, alignment and vibration. 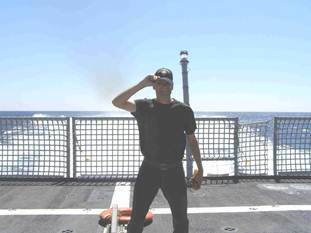 Sea trials on the first of the class were conducted in the Fall of 2012. LamaLo was contracted for the shafting vibration measurements and assessment (torsional, axial, and lateral), as well as the powering performance measurements. The shafting powering and alignment performance to date has been excellent. 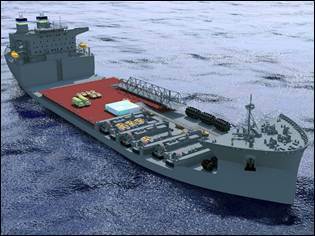 The MLP is a new class of auxiliary ship for the Navy's Maritime Pre-positioning Force of the Future Program. 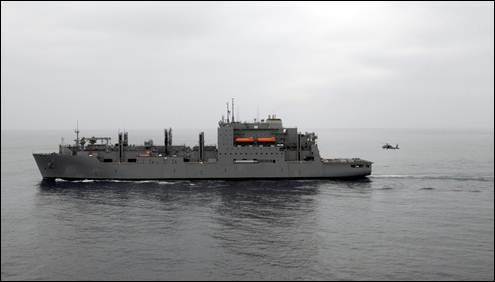 The ship is intended to serve as a transfer station or "floating pier at sea," improving the U.S. military's ability to deliver equipment and cargo to areas where port access is limited or unavailable. The MLP is to have a length of 239 m a beam of 50 m, a ballast draft of 9 m, a loaded draft of 12m, and a sustained speed of 15 knots with a range of 9,500 nm. The vessel has a twin screw propulsion configuration. Each of the 4 bladed fixed pitch propellers are driven by an electric motor rated at 13,400 HP at 85 RPM. LamaLo Technology Inc. has been contracted to provide expertise on the propulsion shafting system design review and analysis, shaft alignment and shafting vibration analysis (torsional, axial and lateral). The fourth vessel of this Class was delivered in 2018. 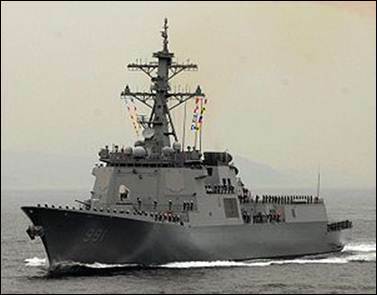 The Republic of Korea Navy KDX-III destroyer is intended to be a multi-purpose destroyer featuring anti-air warfare, anti-surface warfare, anti-submarine warfare and tactical ballistic missile defence capabilities. The KDX-III propulsion system consists of two controllable pitch propellers (twin screws) powered by a Combined Gas turbine and Gas turbine (COGAG) propulsion system, providing 120,000 SHP altogether. LamaLo Technology Inc. was contracted by Aker Yards Marine Inc. to provide expertise on the propulsion shafting system design review and analysis. Conduct a review of the preliminary shafting system design. Recommendations for revisions to the preliminary design were provided and implemented. Conduct the torsional, lateral, and axial shafting vibration analysis. Submitted to US Navy and approved. Conduct the shaft alignment analysis and provide recommended alignment condition and procedures. Submitted to US Navy and approved. Install and commission a strain gauge based alignment measurement system. The strain gauge based alignment measurement system was installed in the first vessel in November 2004. By 2012 all fourteen vessels had been delivered. The T-AKR 310 Class Strategic SeaLift Ships, are 950' long and have twin screw propeller configurations, each rated at 32,000 HP (23,880 kW). 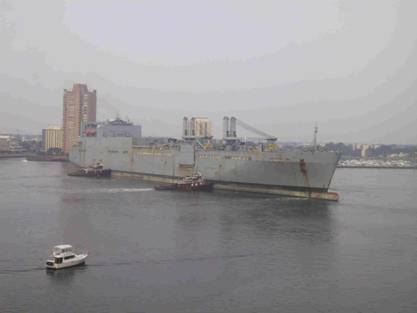 The vessels are part of the Military Sealift Command's nineteen Large, Medium-Speed Roll-on/Roll-off Ships and are part of the 42 ships in the Pre-positioning Program. 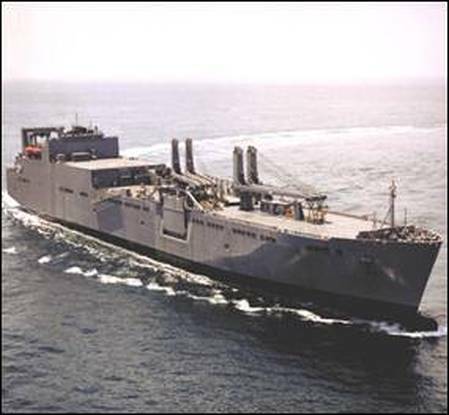 Large, Medium-speed, Roll-on/Roll-off Ships, or LMSRs, can carry an entire U.S. Army Task Force, including 58 tanks, 48 other track vehicles, plus more than 900 trucks and other wheeled vehicles. 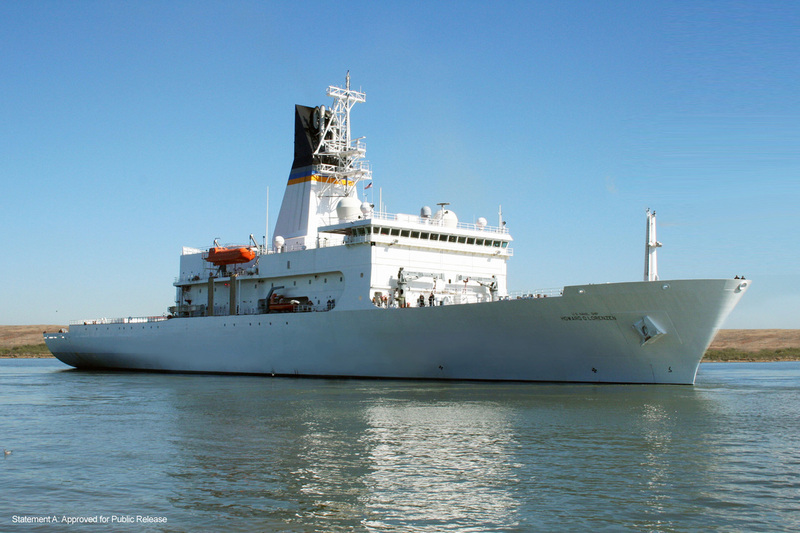 The ship carries vehicles and equipment to support humanitarian missions, as well as combat missions. The new construction vessels have a cargo carrying capacity of more than 380,000 square feet, equivalent to almost eight football fields. In addition, LMSRs have a slewing stern ramp and a removable ramp, which services two side ports making it easy to drive vehicles on and off the ship. Determine root-cause of bearing failures and develop a least-cost complete solution. Determine the requirements to obtain a satisfactory alignment condition. Provide an assessment of the original builder’s alignment specifications and the installed shaft alignment condition. Measure and analyse the installed shaft alignment condition of both port and starboard shafts using the strain gauge technique. Measure hull deflection using advanced DGPS equipment to assess the influence of vessel loading condition / hull deflection on shaft alignment. 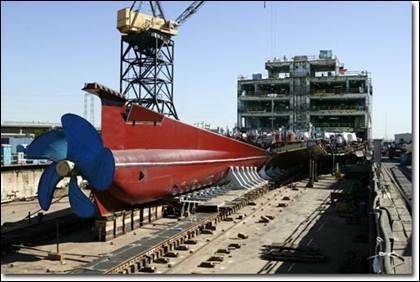 Subsequent to the repair and design modifications, LamaLo Technology was also contracted to perform the alignment measurements and analysis requirements for the additional seven vessels under construction at NASSCO in San Diego, California. The eighth vessel was delivered in 2002. Since the repair, re-alignment and design modifications were conducted, the alignment and vibration performance of the propulsion systems on all the vessels delivered to date have been satisfactory. 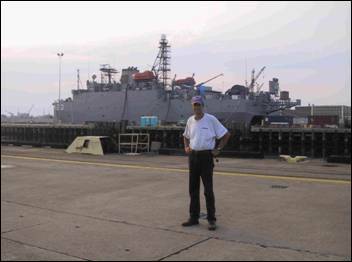 The U.S. Army Enhanced Logistic Support Vessels (ELSV-7 & 8) were constructed at VTHalter Marine Shipyard at Moss Point, Mississippi. The vessels are 314 ft. long with a 60 ft. beam and an overall depth of 19 ft. The ELSV class are able to beach and unload cargo to floating and elevated causeway systems at the beach. The vessels have a twin screw propeller configuration. Each of the 5 bladed fixed pitch propellers is directly driven by a diesel engine rated at 2,260 HP at 1600 RPM, through a single reduction reversible gearbox. The propulsion shaftline is approximately 46 ft. long, and is supported by a strut, a sterntube, and a pillow block bearing. The main gear shaft is supported by two bearings. LamaLo Technology Inc. was contracted to ensure that the propulsion shaftline installed alignment condition is satisfactory for all modes of operation. This was accomplished by a combination of theoretical modeling, design review and assessment, and on-site measurements. Theoretical alignment and whirling vibration analyses were conducted prior to the installation of the shafting system. An alignment procedure was produced, which included the strain gauge alignment method. The shaftline was roughly aligned using optical techniques and a gap and sag measurements at the gearbox-lineshaft flange connection. The strain gauge technique was used to conduct the final alignment. Jack-up load tests were also conducted on the pillow block bearings as an independent check on the results from the strain gauge alignment results. Alignment measurements were taken again with the machinery near operating temperature. The second ship was delivered in 2004 and the shafting performance has been reported to be excellent on both ships. 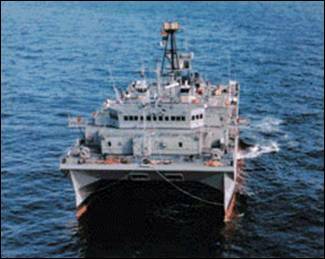 The TAGOS-23 Class Vessel, a US Navy Swath vessel, has a twin screw propeller configuration, each rated at 2,500 HP (1,850 kW). LamaLo Technology was contracted to provide services and equipment to conduct the propulsion shaft alignment measurement and analysis during construction and delivery. This required the development of alignment criteria, a theoretical alignment analysis of the shaftline, measurement of the installed alignment condition using the strain gauge technique, and assessment of the installed alignment condition. The later was accomplished by comparing the measured alignment condition to the theoretical one and the established alignment criteria. Any discrepancies were to be identified, and remedial action proposed. Shaft alignment installation procedures were also produced. The vessel was delivered in 2001 and the shaft performance has been reported to be excellent. 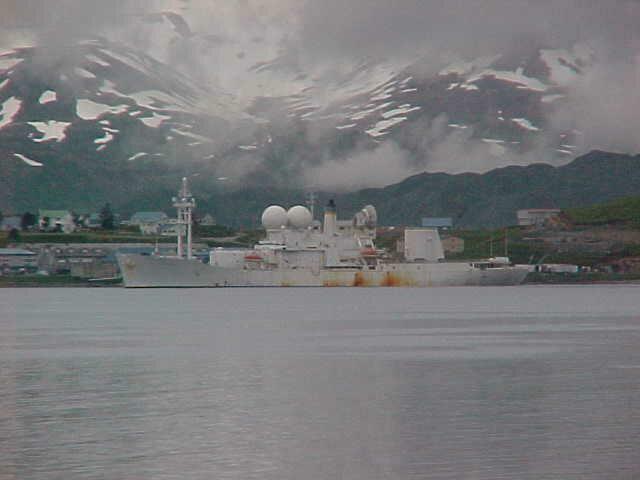 The USNS Red Cloud is a US Navy T-AKR 310 Class Strategic Sealift ship. It is the fourth vessel in a series of eight vessels that were constructed at NASSCO shipyards in San Diego, California. Maersk Shipping Ltd contracted LLT to conduct an investigation to determine the source(s) of high aft strut bearing temperatures, and to provide the recommended course of action. A “Systems Engineering” approach was applied. All aspects of the shaftline alignment and vibration were investigated by using a combination of analytical modeling, on-site measurements, and documentation review. The work was carried out at Sembawang Shipyards in Singapore. The cause of the high temperature was determined and addressed. (1 x 19,250 HP) T-AGM23 Class (Missile Range Instrumentation Ship): Propulsion alignment measurements and theoretical modelling. Propulsion shaftline trouble shooting engineering services (classified). Systems Engineering analysis to produce a solution to prevent the excessive wear down of the bearings, and to ensure that the propulsion system is aligned “properly” when the vessel is waterborne and fully outfitted, for all modes of operation. A theoretical alignment analysis was conducted. The requirements for measurement of the alignment condition using the strain gauge technique were produced, along with the algorithms to compute the bearing loads from measured strains. 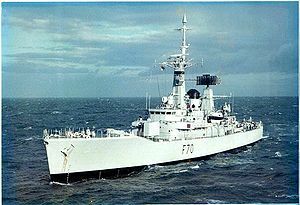 An Excel spreadsheet, which allows the user to compute the bearing loads from strain readings, was provided to the Royal New Zealand Navy.